oil on gessobord, 4 x 4 inches, Sold. 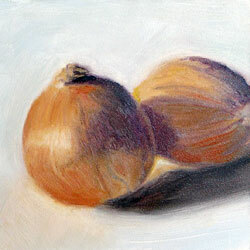 As a bonus, I will include a free original Haiku on the theme of onions, sweetness, and the nature of true love. 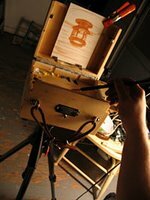 Porchlight Paintings in the News! Subscribe to get porchlight painting emails.